October 2002: The dream begins: Ted and Rhonda buy "Tropical Breeze", an O'Day 322 monohull sailboat with plans to sail off June, 2005. June 2003: We get married on the deck of our boat! July 2004: The dream grows: We trade up to "Wingin' It", a 36 foot Catamaran. June 25th, 2005: The dream happens: One day after Ted's retirement, we sail north on the start of a two year voyage; sailing the east coast of the US, the Keys, and the Bahamas. September 2007: The dream changes: We sell Wingin' It to Seth and Jamie, a young Canadian couple, who plan to sail around the world! We're gonna see the world too; but in a more relaxed manner. July 2010: Time for another big change; we decided to move out of the big city and go into the country. We found a great house on 3 acres next to Lake Lyman, SC. We're half way between Greenville and Spartanburg and LIFE IS GOOD!! Dec 2012: We decide to add a swimming pool to our house and officially rename the place "Club Ted". Now Life IS Great!!! Ya gotta have a dream! Jan: Antigua, Guatemala for a week of Spanish lessons and then San Pedro and Panajachel, Lake Atitlan. May: Across the Atlantic with stops in seven countries on the Crown Princess. June: Rafting at the National Whitewater center with Dwight and Joanne. Ted completed the scuba open water certification course. Daytona Beach for family reunion. and then 10 days sailing in the Grenadines. Aug: Another 10 days sailing in the Grenadines; this time with Kelly and Douglas. Sept: Costa del Sol, Spain with Jonathan and Susie Frank. Oct: Fantasy Fest in Key West. 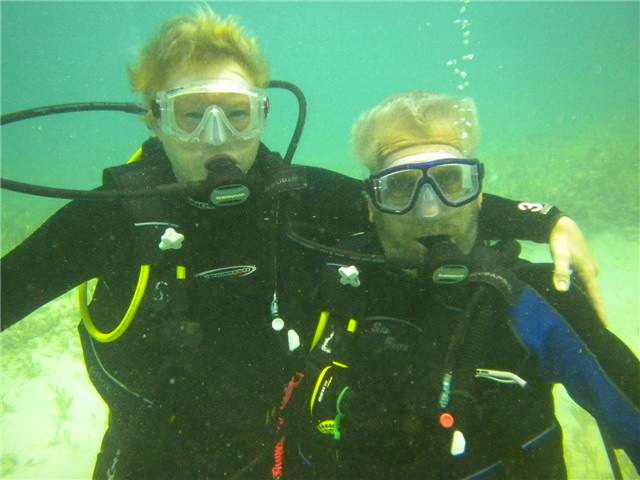 Feb: Aruba - scuba diving, Rhonda completed the open water certification course. Aug: Croatia cancelled cause of Gordon's accident. Went to Seymore, Indiana instead. Jan: Aruba cancelled cause of Ted's surgery. Stayed home to recuperate.